Once the minerals were exhausted, many hastily built mining towns were abandoned. 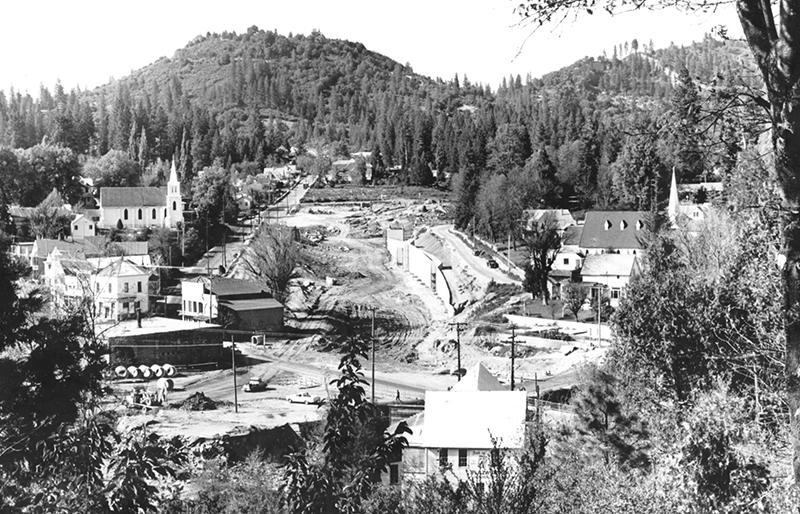 Grass Valley and Nevada City persisted after the Gold Rush because San Francisco investors gambled on hard rock mining, water rights, and power generation. Large cattle ranches had become established. Lumber mills continued to operate, supplying timber for the railroad (mid-1860’s through 1870’s). Railroads moved goods and people between coasts. The age of the automobile, beginning in the early 1900’s, led to road development. By the end of WWII, in the 1940’s, travel and outdoor recreation had become a trend that middle-class America embraced. 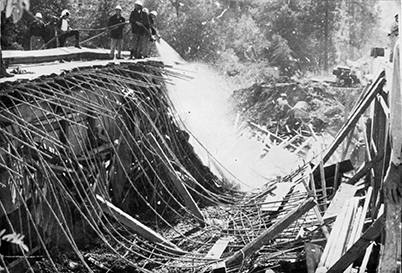 Traffic problems between Nevada City and Grass Valley were documented by the California Division of Highways. Logging trucks jammed narrow roads. Some residents remember it taking between 30-45 minutes to drive between towns, a distance of 4.2 miles. If there was a historic rivalry before, the coming of the freeway strengthened it. Folks were divided about where the road should go. Some merchants thought that downtown offramps would stimulate business while others lamented about the loss of historic buildings. In the early 1960’s right-of-ways had been obtained, structures were removed and dirt work commenced. When the building contractor declared bankruptcy, it took the Highway Department nearly a year to secure a replacement. is a quote from former City Council member and mayor, Bob Paine, that hung in City Hall for many years during that time. 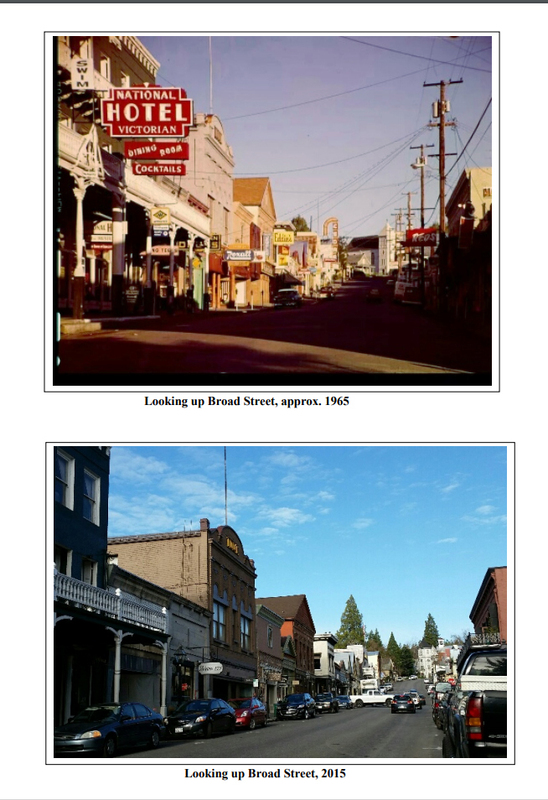 Thanks to keen observers, county civic organizations, and city leaders the historic Mother Lode charm of Grass Valley and Nevada City remains. Since their beginnings, the towns along the Deer Creek watershed have been community gathering places, a hub of entertainment and a place to enjoy nature. If you liked this post, check out Anthony House and Penn Valley Under Lake Wildwood and Development of Lake Wildwood & Current Events. The focus on preservation of a strong sense of community, coupled with geographic, topographic, and infrastructure constraints has limited growth to a slow, manageable pace.